Two teenagers were shot early Friday morning on an interstate ramp on Indianapolis' south side. INDIANAPOLIS — Two teenagers were shot early Friday morning on an interstate ramp on Indianapolis' south side. 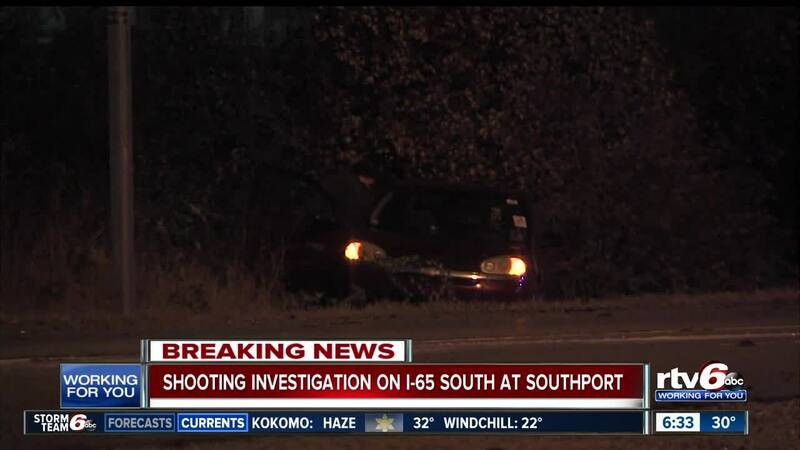 The shooting happened just after midnight, on the ramp from I-65 to Southport Road. Police investigators believe there were two victims in separate vehicles. One victim was the 16-year-old driver of a black Chevrolet Impala. There was a passenger in the Impala who was not injured. The second victim was a 15-year-old boy. He was the driver of a red Chevrolet Malibu. Both victims were transported to Eskenazi Hospital with non-life-threatening injuries. Police believe the shots were fired from a black or dark-colored car. The vehicle may have a rust spot on the back. The vehicle left the area westbound on Southport Road. The shooting is not believed to be random, ISP Sgt. John Perrine said.